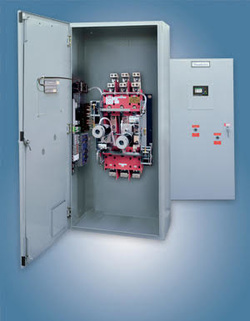 Russelectric - HAROLD WELLS ASSOCIATES, INC.
Russelectric Automatic Transfer Switches are available in both open and closed transition designs. Russelectric RTS-03 Series automatic transfer switches utilize simple electrical operators to provide high-speed quick-break, quick-make, preloaded transfers. The operators are connected to the switch mechanism through precision self-aligning, ball joints and heavy-duty linkage rods which prevent misalignment. 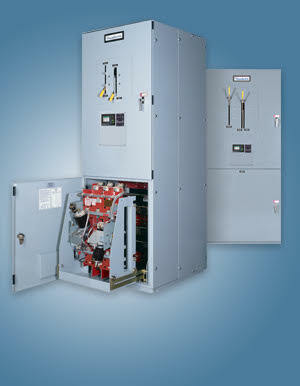 Russelectric Bypass/Isolation Automatic Transfer Switches are available in both open and closed transition designs. Russelectric builds all its bypass/isolation switches for years of reliable, trouble-free operation with a minimum of maintenance. In fact, many of these Russelectric switches have been in continuous service for over 40 years. 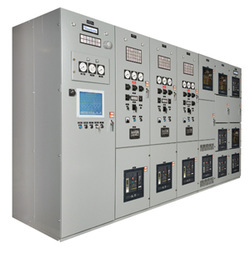 A microgrid in the true sense of the word, the corporate installation can automatically and seamlessly disconnect from the local utility grid and supply power to meet critical needs at the Russelectric's Hingham headquarters in the event of a grid outage. See the YouTube video to learn more about Russelectric's Microgrid.